Are you looking for an independent financial advisor in Horsham? Reeves Financial are Independent Financial Advisors (IFAs) who look after the needs of clients across Horsham, its outskirts and beyond. We specialise in providing impartial advice that is tailored to your situation and requirements. Having been established for more than 20 years, we have in-depth experience along with a superb reputation for our expert advice and professionalism. We always put the interests of our clients first, and as such we have many long-term relationships with individuals, families and businesses across Horsham who rely on our independent financial advice. We understand that your circumstances and needs change over time and, where agreed, we will stay in regular communication with you to provide truly independent ongoing advice based on your circumstances as they evolve. We hold a wealth of experience and are fully qualified to provide independent whole of market pensions, saving and investment advice. We specialise in independent financial advice on the widest range of pensions and retirement solutions covering popular areas such as retirement planning along with options and reviews, tax efficiency, ‘pension freedoms’ available from April 2015, flexible access drawdown and self-invested pensions. We provide independent financial advice on a wide range of services, for example, if you are looking for whole of market equity release schemes or you want to learn more about lifetime mortgages*, Reeves Financial has the independent, qualified expertise to help you. We have provided advice to numerous clients throughout the Sussex, Surrey, Kent and London on issues ranging from planning for retirement and tax efficiency to investments and more. No matter what you require, we go through the options clearly, looking both to the short and long term. *THIS IS A HOME REVERSION PLAN, TO UNDERSTAND THE FEATURES AND RISKS ASK FOR A PERSONALISED ILLUSTRATION. 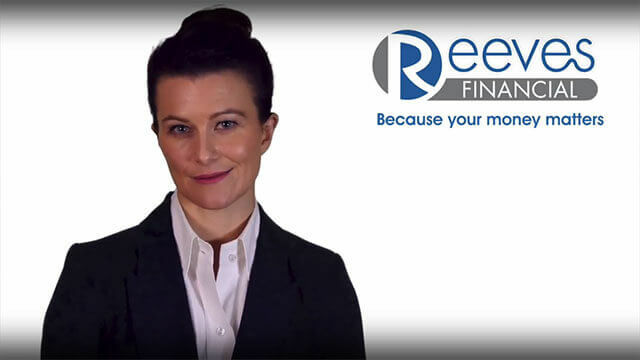 Whether you have additional questions or you would like to get started working with Reeves Financial, please don’t hesitate to get in contact with them today. Please call us directly on 01403 333145 or email info@reevesfinancial.co.uk and we will get back to you promptly. If you are interested in getting advice from an experienced independent financial advisor in Horsham, we would be happy to help.